Ukrainian President commented in his televised address on "long-awaited news" from Brussels that came in earlier on Wednesday as President of the European Commission Jean-Claude Juncker informed the Head of State that the European Commission had proposed to the Council of the European Union and the European Parliament to introduce the visa-free regime for Ukrainian citizens. "For me personally, it was a long path of hard diplomatic and internal political work. I remember every step on this path, every decision, almost every letter in the visa-free legislation. Generally, we have fulfilled a plan, which contained almost 140 conditions. Its main conditions are related to the new efficient security system and fight against corruption. Specifically, the entire anti-corruption legislation is a condition for the abolition of visas," the president said. 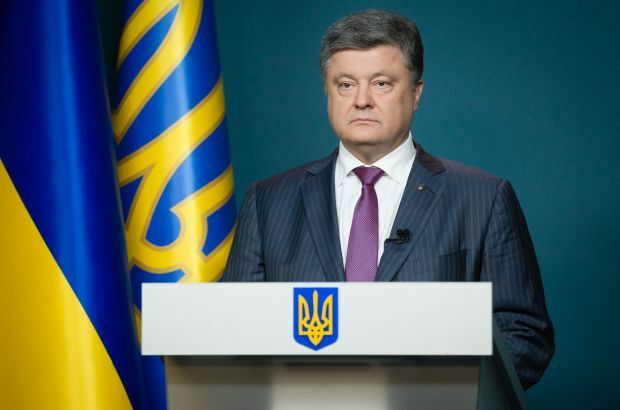 Stressing that the visa-free regime has been his "obligation" to the Ukrainian people, Poroshenko said: "We can mark it as “done” in a few months." Read alsoRada Speaker favors introduction of visa regime with RussiaOn behalf of the Ukrainian people, the Ukrainian president expressed gratitude to the European Commission for this decision that "makes us closer to the European family of nations." As UNIAN reported earlier, the European Commission on April 20 has moved with a proposal to grant Ukraine a visa-free regime with the European Union.